Just a quick reminder that The Jet Age (see our review of their new album) is playing tonight at Trophy's on South Congress. It's an early show (9 PM) so there's no excuse to stay at home. Come out, enjoy some great live music, and still get home at a reasonable hour. What's not to love? Plus, if you see me and mention this post I'll buy you a beer - for reals. Another reminder for those in DC: The Jet Age is playing a FREE show on Saturday night at Comet Ping-Pong to celebrate their new CD. Don't miss it! 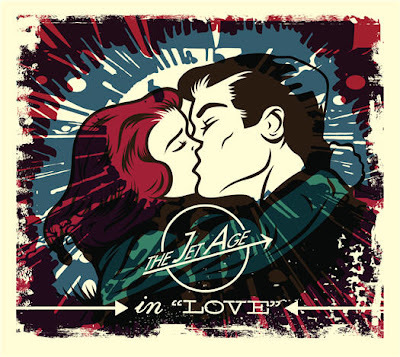 The Jet Age in "Love"